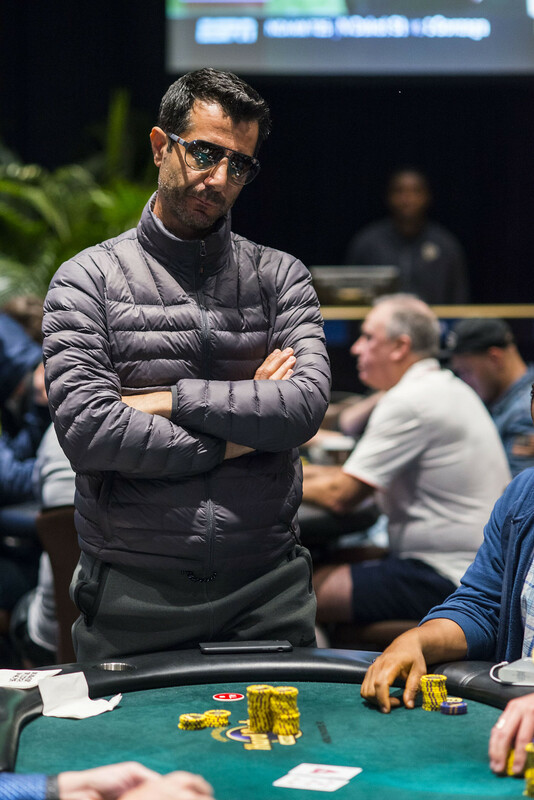 Farid Jattin raises from the cutoff to 35,000, Jordan Schneider calls from the small blind, and WPT Champions Club member Erkut Yilmaz (pictured) moves all in from the big blind for 250,000. Jattin folds, and Schneider calls with . Yilmaz turns over , but he’s dominated and facing elimination. 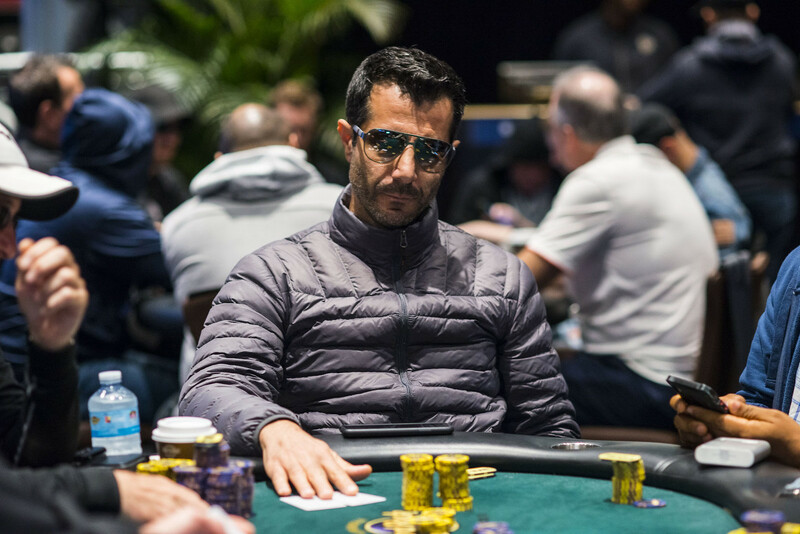 The board comes — Yilmaz turns a heart flush draw, but improves no further. Schneider wins the pot to eliminate Yilmaz in 43rd place.